In this recording, best-selling author Dr. Tina Payne Bryson (co-author with Dan Siegel of The Whole-Brain Child) discusses the challenges she most frequently addresses with parents, students, educators, and professionals when it comes to kids in the classroom. At school, many children have emotional, academic, and social hurdles to overcome. This DVD will discuss how to create new associations with learning and the school environment, and how to help kids build skills and become resilient. Using stories, case examples, and plenty of humor, Dr. Bryson explains ten simple, scientifically grounded strategies that will help children transition back to school, be confident students, and have a successful academic year. 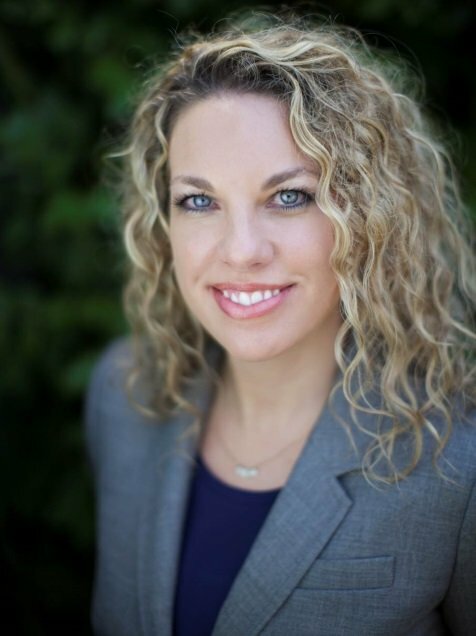 Attendees will be exposed to the most important and frequent perspectives and strategies Dr. Bryson teaches parents, educators, and mental health professionals in her office as a pediatric and adolescent psychologist, and as the School Counselor at St. Mark's School in Altadena, California. Demonstrate how nervous system arousal works, and how resilience is about remaining in the optimal window for wellbeing and happiness. Multi-disc DVD recordings (4 hours, 31 minutes) with electronic manual and instructions. 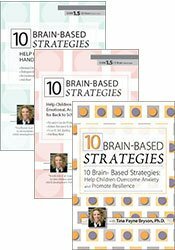 Explain how neural associations impact children's ability to learn and handle their emotions in school and how to change negative associations. Distinguish the connection between social skills and executive function in the brain. Identify when we should give children time to develop, versus initiating intervention and evaluation. Describe how to overcome resistance to assessment and intervention. Ascertain a new lens to help focus on skill-building instead of diagnosis. California Alcoholism & Drug Abuse Counselors: PESI, Inc. is an approved provider by the CCAPP-EI, Provider #: OS-03-036-1019. This self-study activity meets the qualifications for 1.5 CEH's (continuing education hours). Connecticut Addiction Counselors: Provider #120924. This course has been approved as a CCB approved training and has been awarded 1.5 hours by the Connecticut Certification Board. This intermediate self-study activity consists of 4.5 clock hours of continuing education instruction. Credit requirements and approvals vary per state board regulations. Please save the course outline, the certificate of completion you receive from the activity and contact your state board or organization to determine specific filing requirements. South Carolina Counselors, Marriage & Family Therapists and Psycho-Educational Specialists: This program has been approved for 3 continuing education hours by the South Carolina Board of Examiners for Licensure of Professional Counselors, Marriage and Family Therapists, and Psycho-Educational Specialists. Provider #4540. Texas Counselors: PESI, Inc. has been approved as a continuing education sponsor through the Texas State Board of Examiners of Professional Counselors. Provider #: 2477. This self-study course qualifies for 3 continuing education credits. This course consists of 4.5 self-study clock hours. Credit requirements and approvals vary per state board regulations. Please save the course outline, the certificate of completion you receive from this self-study activity and contact your state board or organization to determine specific filing requirements. 4.5 ISBE Professional Development (PD) Clock Hours will be made available through Quincy University. Those requesting ISBE PD Clock Hours will need to complete additional steps in order to receive the ISBE “Evidence of Completion for Professional Development” form. Expires: 06/30/20**. Indiana Educators: 3 Professional Growth Points are available for full attendance of this self-study package per the Indiana Department of Education standards. Montana Educators: This self-study package is offered for 4 Renewal Units. PESI, Inc. is an Approved Renewal Unit Provider with the Montana Office of Public Instruction. New Jersey Educators, Administrators & Education Services Personnel: 4.5 Actual Professional Development Hours (self-study). MEDS-PDN, powered by PESI, Inc., is a registered New Jersey Professional Development Provider with the NJ Dept of Education. Texas Educators: PESI, Inc., has been approved as a CPE Provider #500-981 for Texas Educators by the Texas State Board for Educator Certification (SBED). This self-study package qualifies for 4.5 CPE clock hours. This self-study activity consists of 4.5 clock hours of continuing education instruction. Credit requirements and approvals vary per state board regulations. Please save the course outline, the certificate of completion you receive from this self-study activity and contact your state board or organization to determine specific filing requirements. Illinois Marriage & Family Therapists: PESI, Inc. has been approved as a provider of continuing education by the State of Illinois, Department of Professional Regulation. Provider #: 168-000156. Full attendance at this self-study activity qualifies for 4.5 credits. Texas Marriage & Family Therapists: PESI, Inc. has been approved as a continuing education sponsor through the Texas State Board of Examiners of Marriage and Family Therapists. Provider #: 503. This self-study activity qualifies for 4.5 continuing education credits. This intermediate activity consists of 4.5 clock hours of continuing education instruction. Credit requirements and approvals vary per state board regulations. Please contact your licensing board to determine if they accept programs or providers approved by other national or state licensing boards. A certificate of attendance will be awarded at the end of the program to participants who are in full attendance and who complete the program evaluation. California Nurses: PESI, Inc. is a provider approved by the California Board of Registered Nursing, Provider #:17118 for 4.5 self-study contact hours. Florida Nurses: PESI, Inc. is an approved provider by the Florida Board of Nursing. Provider #: FBN2858. These materials qualify for 4.5 self-study contact hours. Iowa Nurses: PESI, Inc. is an approved provider by the Iowa Board of Nursing. Provider #: 346. Nurses successfully completing these self-study materials will earn 5.4 self-study contact hours. No CE available for this board. Florida Occupational Therapists & Occupational Therapy Assistant: PESI, Inc. is an approved provider with the Florida Board of Occupational Therapy. Provider Number 50-399. This self-study course qualifies for 4.5 continuing education credits. This self-study activity consists of 4.5 clock hours of continuing education instruction. Credit requirements and approvals vary per state board regulations. Please save the course outline and the certificate of completion you receive from this self-study activity. Contact us for more information on your state board or organization specific filing requirements. American Psychological Association credits are not available. Florida Board of Psychology: PESI, Inc., is an approved provider with the Florida Board of Psychology. Provider Number 50-399. This product qualifies for 4.5 self-study continuing education credits. Please make sure to bring your license number to the seminar so that we can report your attendance to CE Brokers. This course contains 4.5 hours of self-study continuing education. It was not offered for ASHA CEUs. Please retain your certificate of completion. If audited for ASHA Certification Maintenance, you can submit this certificate of completion at that time. For state licensure, teacher certification renewal, or other credential renewal, contact those agencies for information about your reporting responsibilities and requirements. California Speech-Language Pathologists/Audiologists: PESI, Inc. is an approved provider with the California Speech-Language Pathology and Audiology Board, #PDP 319. This course meets the qualifications for 4.5 hours of self-study continuing professional development credit for Speech-Language Pathologists or Audiologists, as required by the California Speech-Language Pathology and Audiology Board. Kansas Speech-Language Pathologists: Approved for 4.5 self-study continuing education clock hours for Kansas licensed Speech-Language Pathologists by the Kansas Department for Aging and Disability Services. California Social Workers/ Counselors/Marriage & Family Therapists/Licensed Educational Psychologists: This intermediate activity consists of 3 clock hours of continuing education instruction. Credit requirements and approvals vary per state board regulations. Please contact your licensing board to determine if they accept programs or providers approved by other national or state licensing boards. A certificate of attendance will be awarded at the end of the program to participants who are in full attendance and who complete the program evaluation. Florida Social Workers/Marriage & Family Therapists/Mental Health Counselors: PESI, Inc. is an approved provider with the Florida Board of Clinical Social Work, Marriage and Family Therapy and Mental Health Counseling. Provider Number 50-399. This self-study course qualifies for 4.5 continuing education credits. Illinois Social Workers: PESI, Inc. is an approved provider with the State of Illinois, Department of Professional Regulation. License #: 159-000154. Successful completion of this self-study activity qualifies for 4.5 contact hours. Minnesota Social Workers: PESI, Inc. is an approved provider with the State of Minnesota, Board of Social Work. Provider #: CEP-140. This self-study course has been approved for 4.5 continuing education hours. A certificate will be issued upon successful completion of a post-test. New York Social Workers: PESI, Inc. is recognized by the New York State Education Department's (NYSED) State Board for Social Work as an approved provider of continuing education for licensed social workers #SW-0008. This self-study activity will qualify for 5.25 contact hours. Full attendance is required; no partial credits will be offered for partial attendance. Expires: December 31, 2020. Ohio Social Workers/Counselors/Marriage & Family Therapists: PESI, Inc. is an approved provider with the State of Ohio Counselor, Social Worker and Marriage & Family Therapist Board. Provider approval #: RCST071001. Successful completion of this self-study course meets the qualifications for 4.5 clock hours of continuing education credit. Pennsylvania Social Workers/Counselors/Marriage & Family Therapists: This intermediate activity consists of 4.5 clock hours of continuing education instruction. Credit requirements and approvals vary per state board regulations. Please contact your licensing board to determine if they accept programs or providers approved by other national or state licensing boards. A certificate of attendance will be awarded at the end of the program to participants who are in full attendance and who complete the program evaluation. Full attendance is required, variable credits may not be awarded per the Pennsylvania State Board. This self-study activity qualifies for 4.5 clock hours of instructional content as required by many national, state and local licensing boards and professional organizations. Retain your certificate of completion and contact your board or organization for specific filing requirements. Montana Educators: This self-study package is offered for 1.0 Renewal Units. PESI, Inc. is an Approved Renewal Unit Provider with the Montana Office of Public Instruction. PESI, Inc. is an AOTA Approved Provider of continuing education. Provider #: 3322. This self-study course qualifies for 1.5 self-study contact hours or .15 CEUs in the Category of Domain of OT and Occupational Therapy Process. The assignment of AOTA CEUs does not imply endorsement of specific course content, products, or clinical procedures by AOTA. Course Level: Intermediate. Expires: 8/27/2019.